Dr Bob’s successful 100 mile Hop Across Scotland in 2009. He started on 17th September at Bowling in West Dunbartonshire and followed the Forth & Clyde Canal, then the Union Canal to Edinburgh with visits to Maggie’s Centres in Edinburgh and Glasgow included. 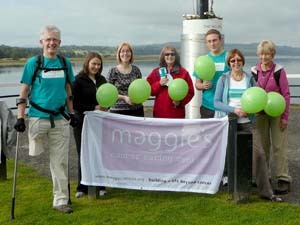 The route was then over the Forth Road Bridge and along the Fife Coastal Path ending at Maggie’s Fife in Kirkcaldy around 5pm on Wednesday 23rd September. The money raised so far (online and locally) is now in excess of £10,100.00 but please, please, please keep giving to this amazingly worthwhile cause. 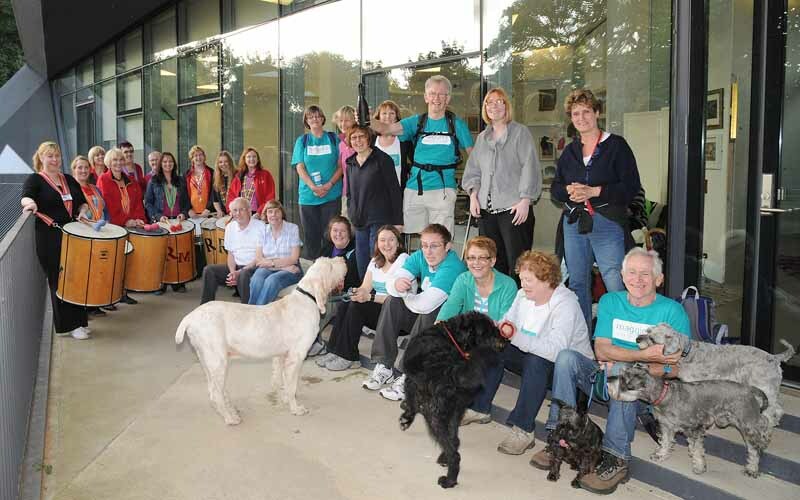 Click on the photograph below for a selection of photos from Day 1 of the walk. Day 2 – Friday 18th September 2009. Day 3 – Saturday 19th September 2009. 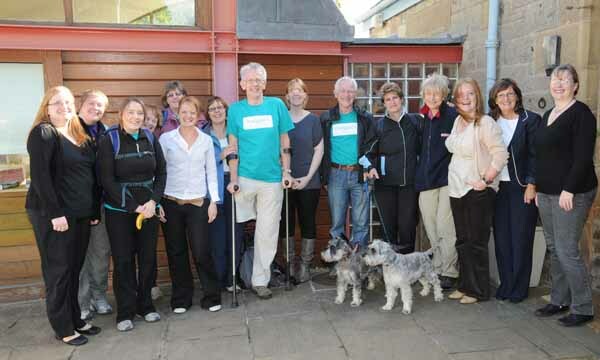 The walkers passed The Boathouse at Auchinstarry Marina early in the day – this was Dr Bob’s ‘Base Camp’ for the first part of the week. 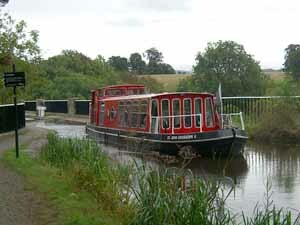 After a stop for lunch (and a brief shelter from the rain) at Underwood Lock, the next stop was The Falkirk Wheel and the transition from the Forth and Clyde Canal to the Union Canal. The final stretch of the walk was through the 620 metre long Falkirk Tunnel. Day 4 – Sunday 20th September 2009. The team set out from Glen Village, south of Falkirk and travelled over the Avon Aqueduct to Linlithgow and on to the end of this section at Winchburgh. This brings the total distance travelled to 55 miles. There was good banter with all the canal users, on foot and on the barges and some were very generous in their donations. 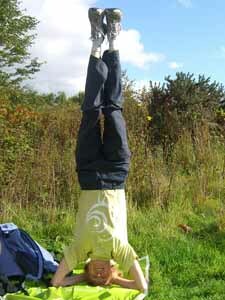 Lorna even found time en route today to practice her yoga. Day 5 – Monday 21st September 2009. 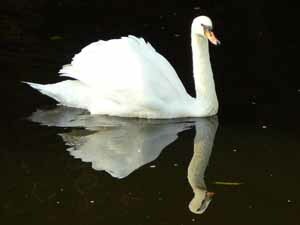 Today’s walk was from Niddrie Bridge in Winchburgh to the end of the Union Canal at Fountainbridge in Edinburgh. This was the longest daily stretch of the walk, covering over 15 miles. There were some heart-warming stories and moments today – a couple of lads cycled past the waved collecting tins at great speed, only to come back 5 minutes later especially to donate to Maggie’s. We passed a group of canoeists this morning and one kind gentleman stuck a £5 note on to his wet paddle and passed it over to Alison. 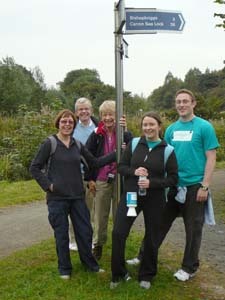 A big thank you to everyone who has contributed so generously to Maggie’s Centres after being accosted on the towpath! Day 6 – Tuesday 22nd September 2009. The walkers travelled from Fountainbridge to the Maggie’s Centre in Edinburgh today then over the Forth Bridge to finish at Dalgety Bay. The Maggie’s staff gave us a warm welcome and supplied us with wonderful scones and jam with a very enjoyable cup of tea or coffee. It was great and kept us going until we stopped for our packed lunch at South Queensferry. We met lots of generous people again today, some with sad tales to tell but wanted to give to Maggie’s in memory of a loved one. We had quite a blowy crossing on the Forth Bridge and we were glad to get across as it had actually been closed to pedestrians earlier! Day 7 – Wednesday 23rd September 2009.